MINNEAPOLIS (June 8, 2017) – Padilla has been recognized with four Silver Anvil Awards and four Silver Anvil Awards of Excellence given by the Public Relations Society of America (PRSA). For more information on the Silver Anvil Awards, please visit the event website. 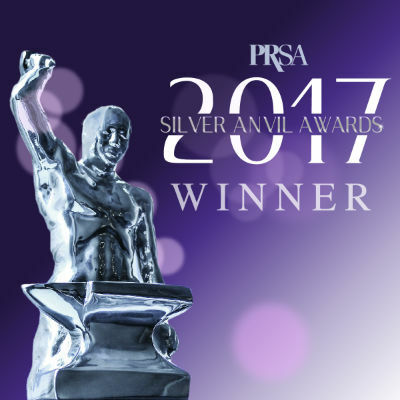 View the complete list of 2017 PRSA Silver Anvil Winners at PRSA.org.